With countless fireworks displays, parades and concerts happening throughout Maryland, D.C. and Virginia this Fourth of July, there’s no better place in the country to spend the holiday. Pack up your RV and cruise to some of these unforgettable Independence Day events. Fourth of July in Washington, D.C. 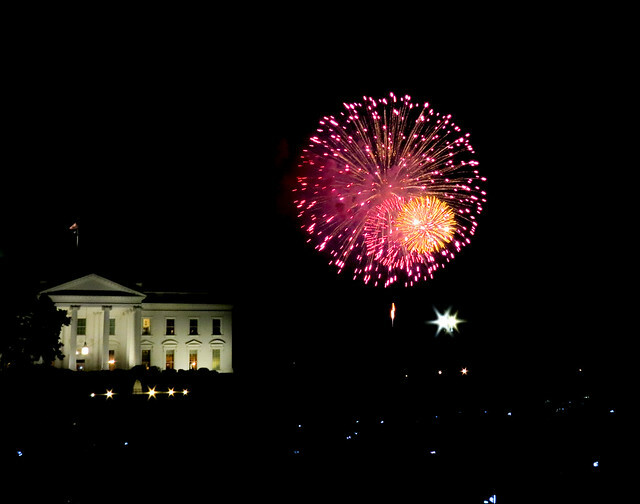 If you’re looking for a non-stop Independence Day celebration, the best place to be is the nation’s capitol. The day starts with Washington D.C.’s Independence Day Parade at 11:45 a.m. at Constitution Avenue and 7th Street and will feature elaborate floats, bands, military units and a variety of other performers. The events then continue at the “A Capitol Fourth Concert” with the National Symphony Orchestra and a variety of other artists performing on the U.S. Capitol Building’s West Lawn. The free concert is open to the public at 3 p.m., so show up early to get a spot. Downtown Baltimore is jam-packed with visitors who come to see tons of live music and an astonishing fireworks display for the Ports America Chesapeake Fourth of July Celebration. The live music begins at 4 p.m. with the band Thunderball and continues at 7 p.m. with the U.S. Naval Academy Band “Electric Brigade.” The night ends with an incredible firework show at 9:30 p.m. The city of College Park collaberates with the University of Maryland for one of the best Fourth of July celebrations in the state. Lot 1 at the University of Maryland houses a free concert by the Nightlife Band at 7 p.m. followed by a fantastic fireworks display at 9 p.m. Concessions will be available on site and visitors are welcome to bring chairs, blankets and personal coolers. Make this Fourth of July the best one yet with a brand new motorhome, travel trailer, fifth wheel or pop-up from Beckley’s Camping Center for a once-in-a-lifetime price. And if you’re already in the RV of your dreams, check out our specialty parts on sale for our Red, White and Blue Tag Sale.